FX announced has ordered the limited series “Devs” from award-winning writer/director Alex Garland, it was announced Aug. 3 by John Landgraf, CEO of FX Networks and FX Productions. 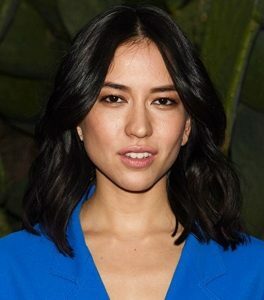 FX also announced that “Devs,” which had previously been developed as a pilot, will star Sonoya Mizuno, Nick Offerman, Jin Ha, Zach Grenier, Stephen McKinley Henderson, Cailee Spaeny and Alison Pill. The eight-episode show will premiere on FX in 2019. Garland will executive produce along with Andrew Macdonald and Allon Reich of DNA TV, Eli Bush and Scott Rudin, with whom he partnered with on the acclaimed feature film “Annihilation” and the Academy Award-winning “Ex Machina,” and Eli Bush. The series will be produced by FX Productions. In “Devs,” a young computer engineer, Lily Chan (Mizuno), investigates the secretive development division of her employer, a cutting-edge tech company based in San Francisco, who she believes are behind the murder of her boyfriend. Mizuno, a Japanese-born British actress, model and ballerina, can currently be seen in “Crazy Rich Asians.” Her other screen credits include “Annihilation,” “Beauty and the Beast,” “La La Land,” and “Ex Machina.” She also stars with Emma Stone, Jonah Hill and Sally Field in the Netflix series “Maniac,” directed by Cary Fukunaga, which premieres on Sept. 21.